Mitzvah Day is proud to announce Georgina Bye as our new chief executive. Georgina (pictured, left, with Mitzvah Day chair Laura Marks OBE) joins Mitzvah Day at an exciting time, as we head into our second decade as a registered charity. 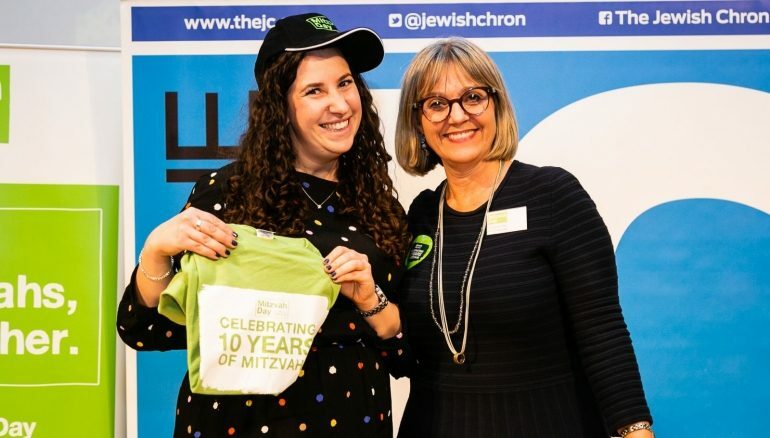 Over the last 10 years, Mitzvah Day has become firmly established as the UK’s biggest faith-based day of social action with more than 40,000 volunteers of all faiths, and none, taking part annually. Georgina was introduced to many of our key co-ordinators and volunteers at the Mitzvah Day Awards ceremony on Tuesday 5 February and will officially take up position on Monday 11 March. She joins Mitzvah Day from JDC Entwine and OLAM, two organisations focussed around humanitarian aid, community revival and support for vulnerable Jews and non-Jews around the world. Mitzvah Day currently operates in 30 countries, supporting communities of all faiths. Georgina has also worked for a number of other Jewish organisations – including University Jewish Chaplaincy and UJS – and is a seasoned educator, presenting frequently at Limmud Conference. Georgina, who grew up in Edgware, said: “Mitzvah Day has become an unmissable fixture in the Jewish calendar, both in the UK and internationally, and I’m thrilled to be joining as we step into this second decade. Mitzvah Day founder and chair Laura Marks OBE added: “I have known Georgina for many years and have watched her deepen her knowledge of and commitment to ‘healing the world’. Georgina takes over from Dan Rickman as the professional head of Mitzvah Day. This year’s Mitzvah Day will take place on, and around, Sunday 17 November. For more details, visit www.mitzvahday.org.uk.